Before they dated, Cher and Josh gave each other a hard time. Each took turns mocking the other one. Why can't step-siblings kiss? That's what Cher and Josh wanna know, as the pair gets to first base in this photo. 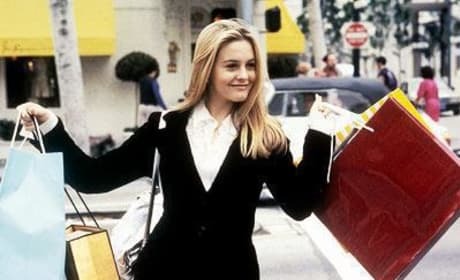 Cher Horowitz (Alicia Silverstone) is clueless to the extreme... but we love her just the same. We liked the 1995 movie too. The three clueless ladies from the film named for them. Well, it's just called "Clueless," not "Three Clueless Ladies." They're more like girls, really. Teenagers, even. Cher Horowitz (Alicia Silverstone) was the protagonist of "Clueless." Not that she would know what protagonist means, of course.